Franklin Services strives to provide our clients with quality, dependable service. From maintenance agreements, openings and closings to repairs, you can rely on us to take care of your residential needs. Whether you need a new filter or need to replace your liner, we feature an incredible selection of pool accessories and supplies. 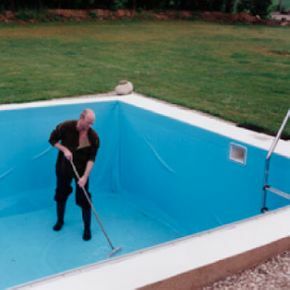 Located in Brantford, we serve the surrounding area for pool supplies, equipment and maintenance. People choose saltwater pools as an alternative to traditional chlorinated pools for a variety of reasons. In addition to being a more natural option, saltwater pools provide a number of advantages. Chlorine is often the culprit of red eyes, itchy skin and damaged hair. Saltwater pools are gentler on your skin, hair and eyes. In addition, they require less chemicals and routine maintenance. Although they are an investment upfront, they pay for themselves because of reduced operations costs. As your local saltwater chlorination specialist, we can help you with all of your saltwater pool needs. For more information about our products or services, contact us today.